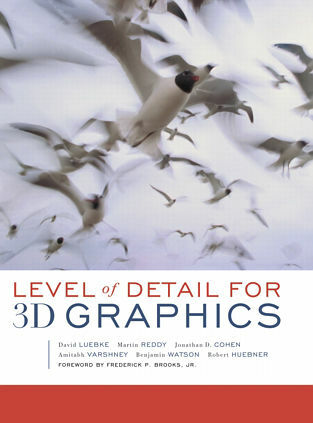 This website provides resources supporting the book Level of Detail for 3D Graphics by D. Luebke, M. Reddy, J. Cohen, A. Varshney, B. Watson, and R. Huebner; published by Morgan Kaufmann as part of their series in Computer Graphics and Geometric Modeling. ISBN 1-55860-838-9. "A fantastic and well-written book, filled with a lot of very useful information. There is no other like it on the market."